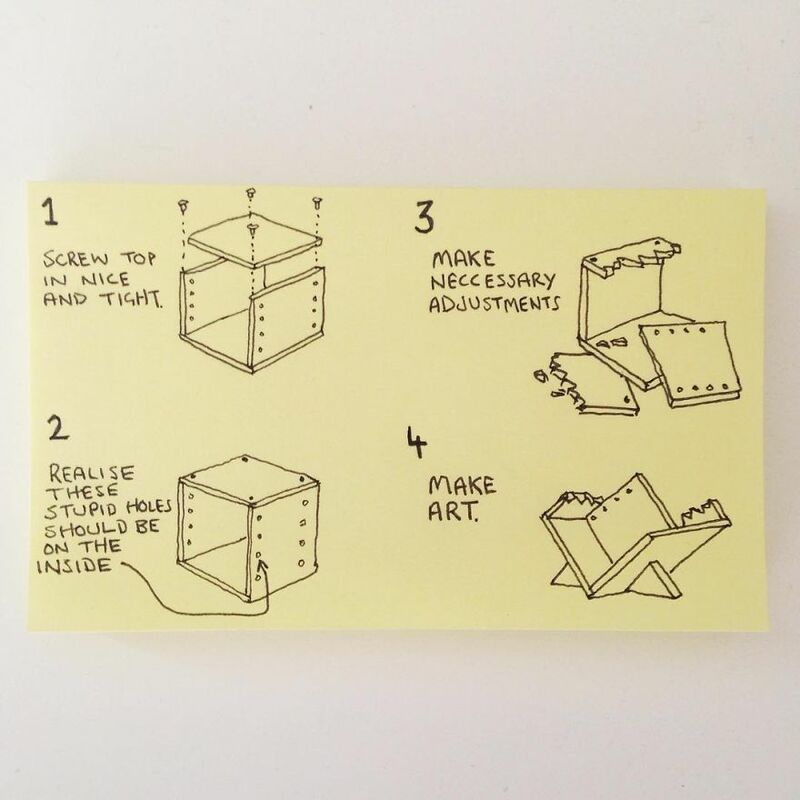 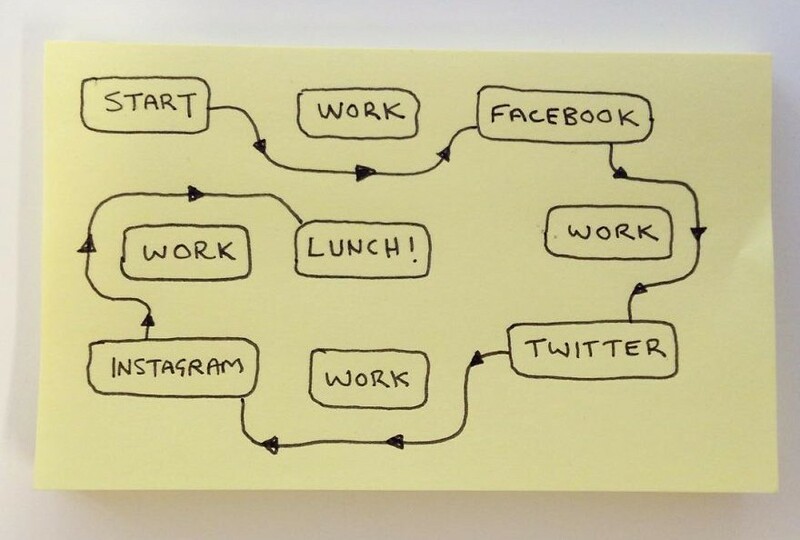 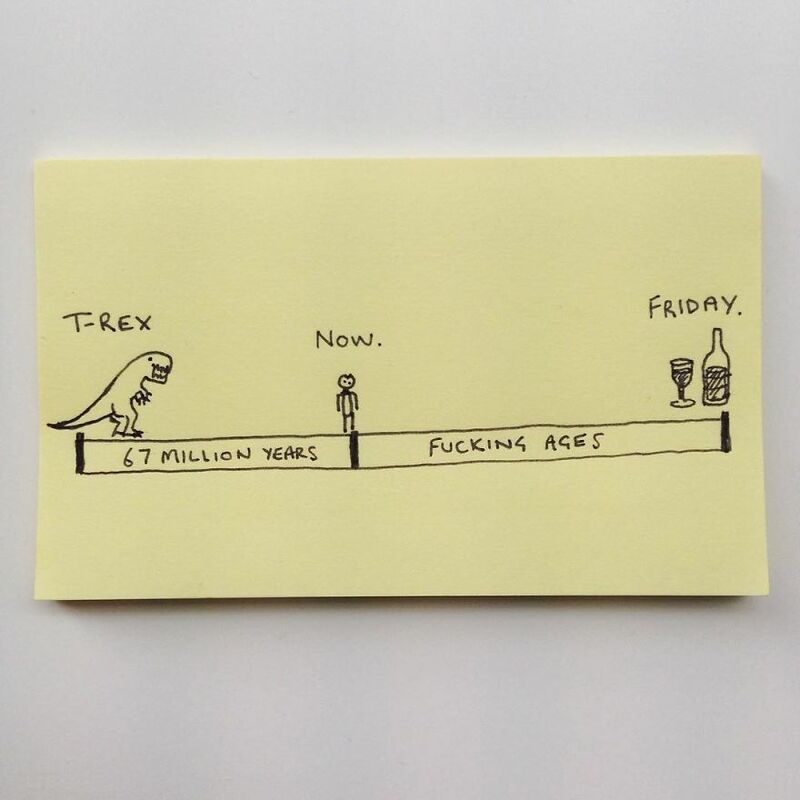 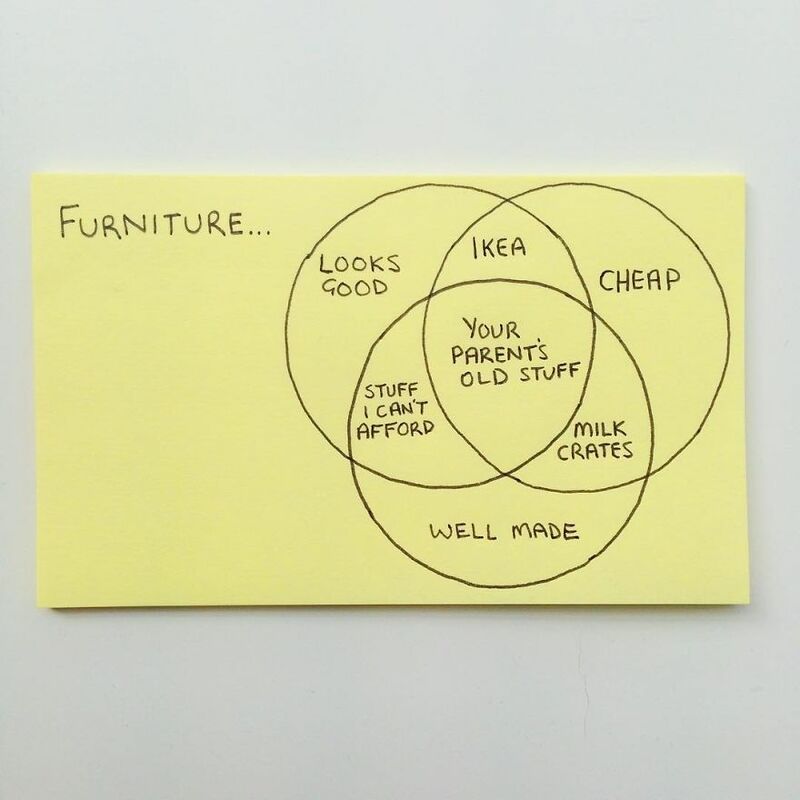 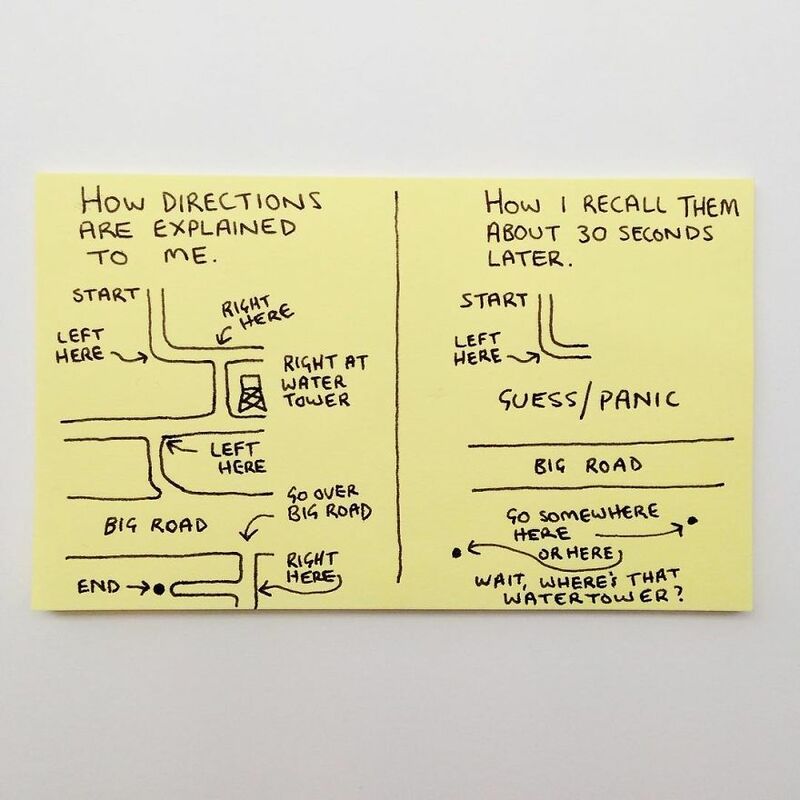 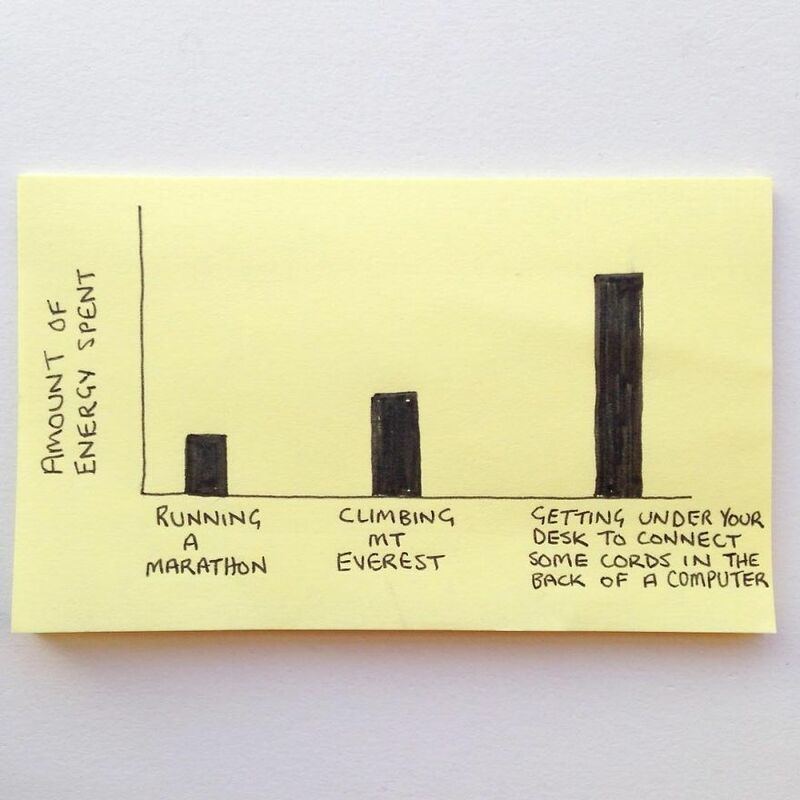 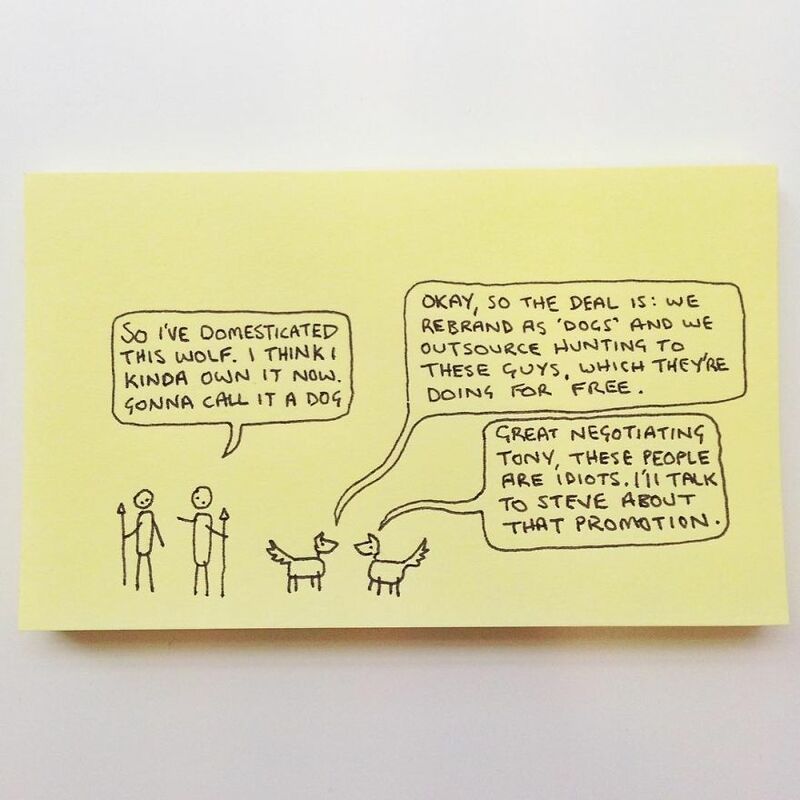 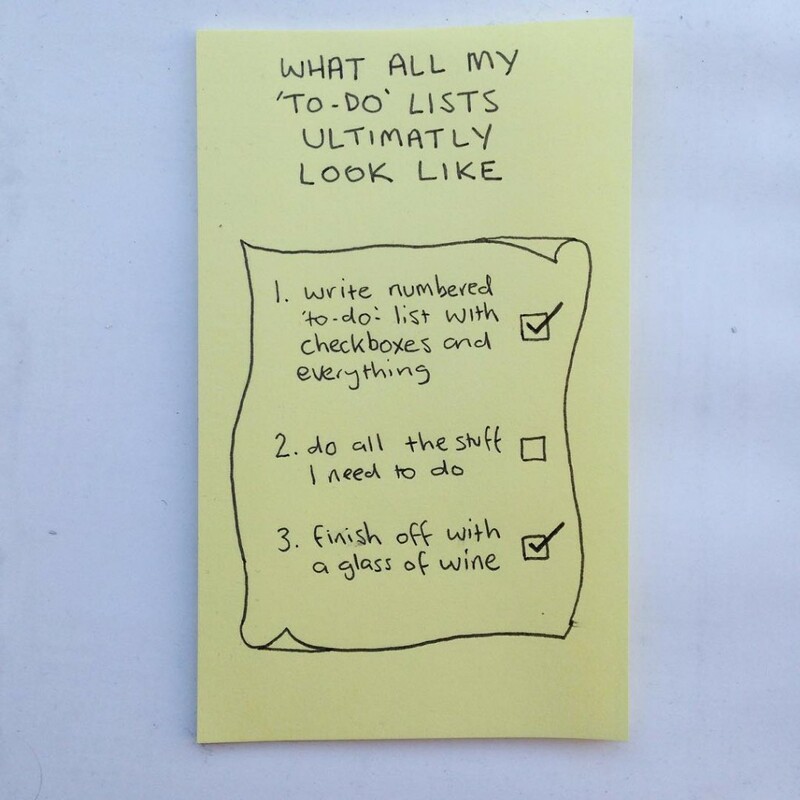 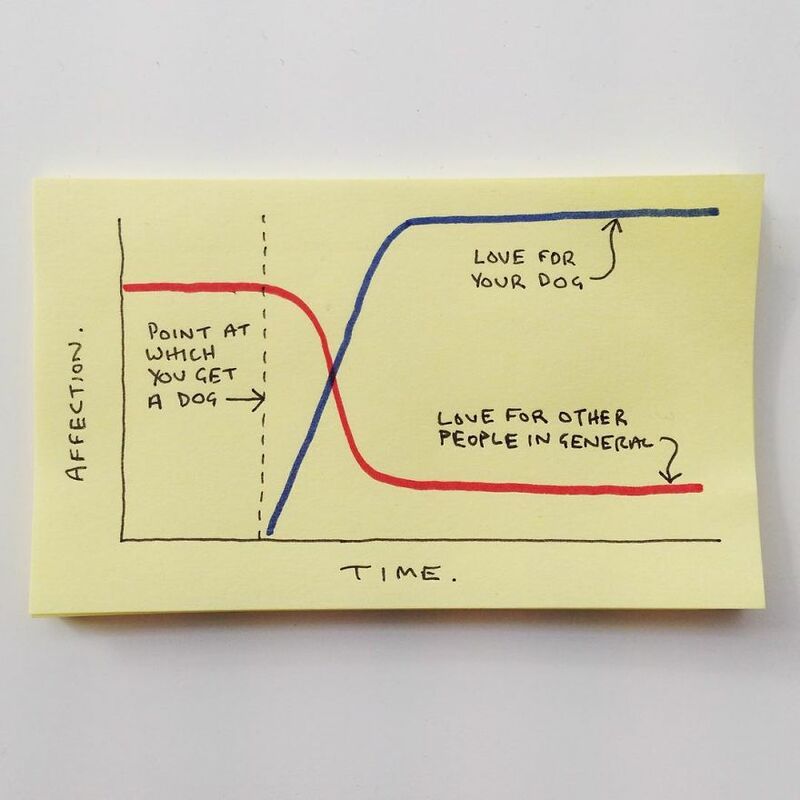 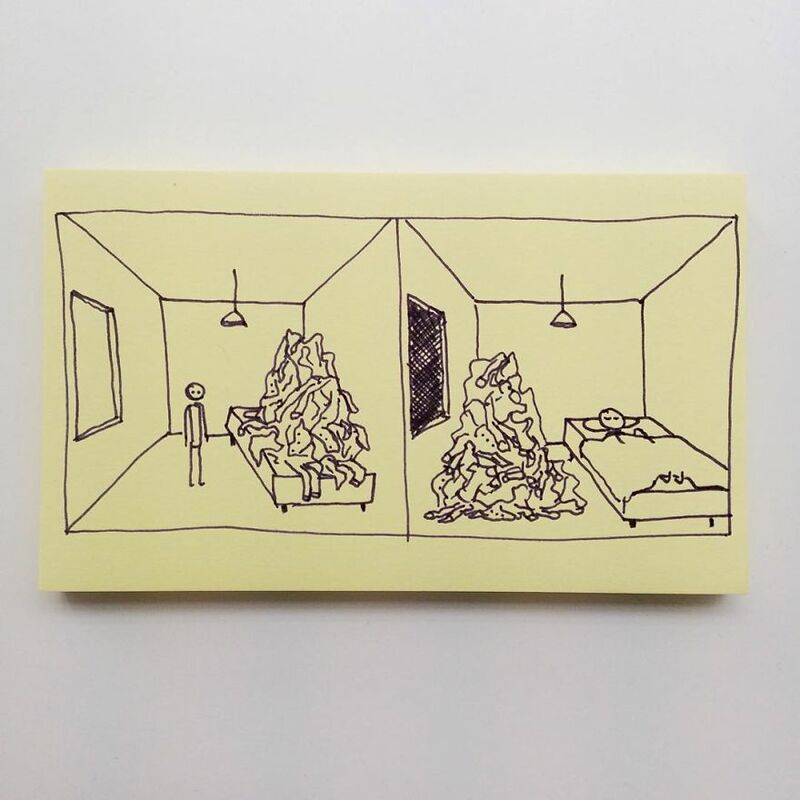 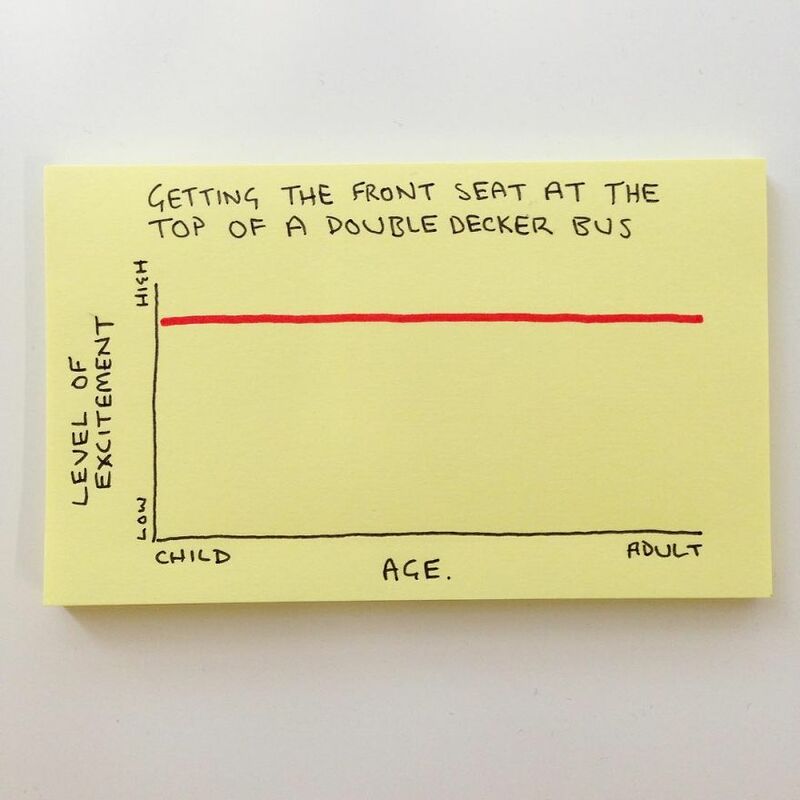 Writer and designer Chaz Hutton has created an amazing series of simple illustrations on sticky-notes to narrate the -sometimes unfortunate- everyday realities of being an adult. 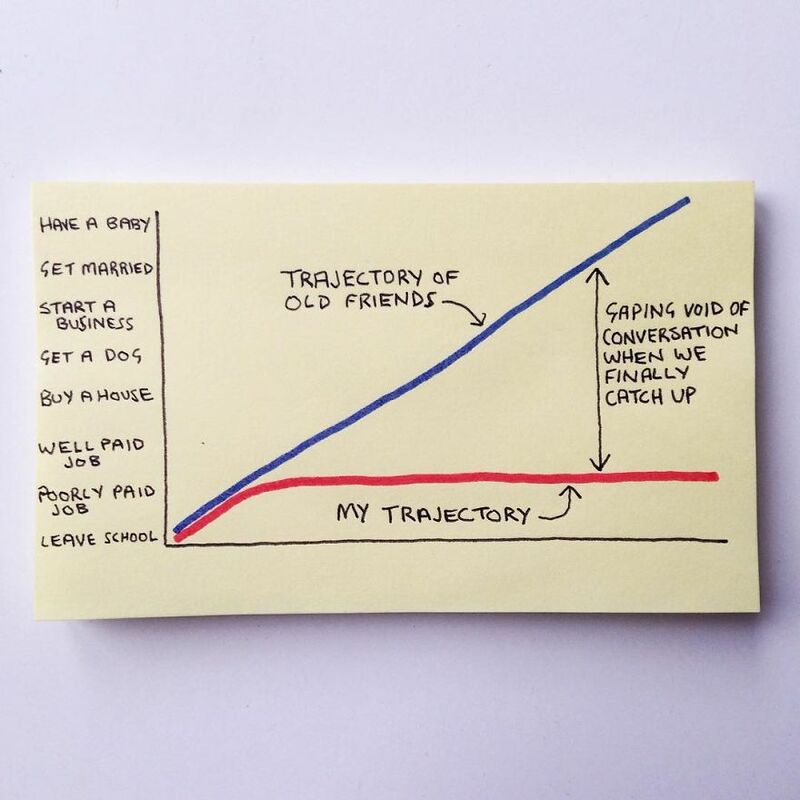 Painfully accurate, his stick-figure comics and amusing graphs make our thoughts, little pleasures and bad days all too real. 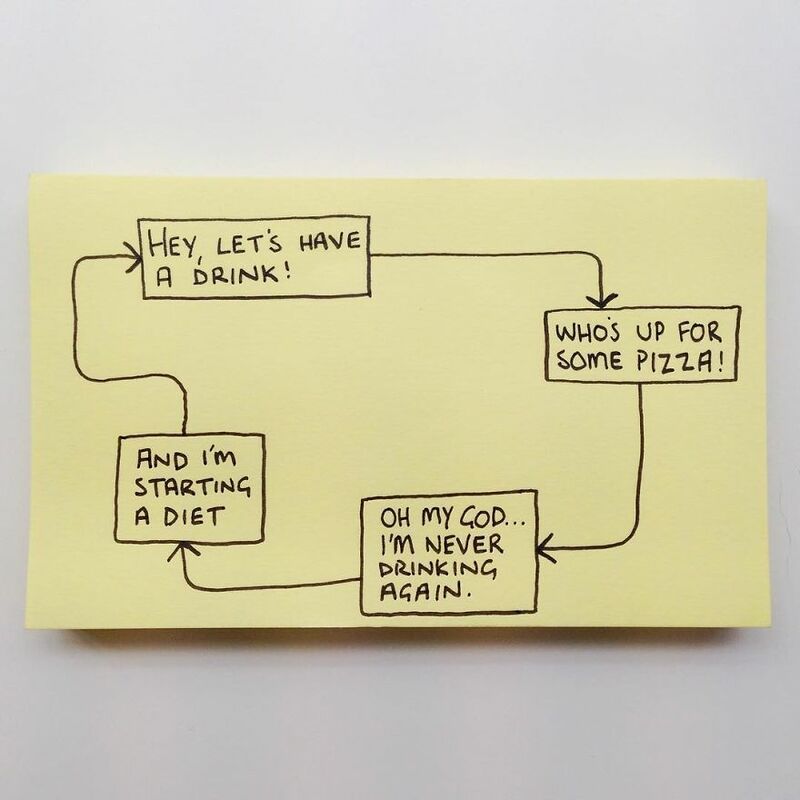 Whether you can’t wait until Friday arrives, promised that you will start a diet on Monday or said “God, I’m never drinking again”, you will definitely find yourselves in these illustrations. 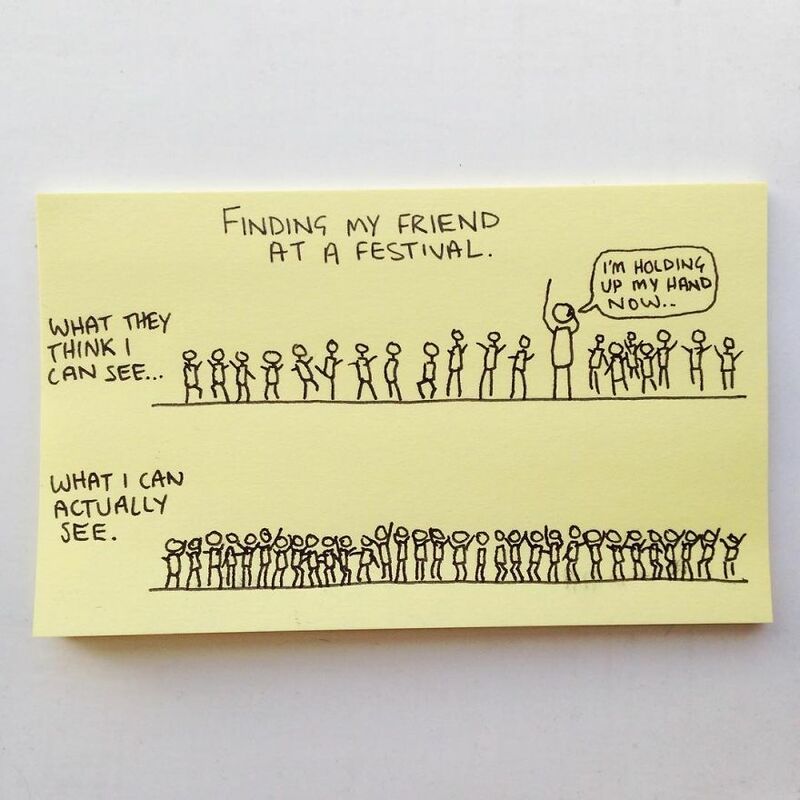 Come on, who has never searched for their friends in a crowded concert with no luck? 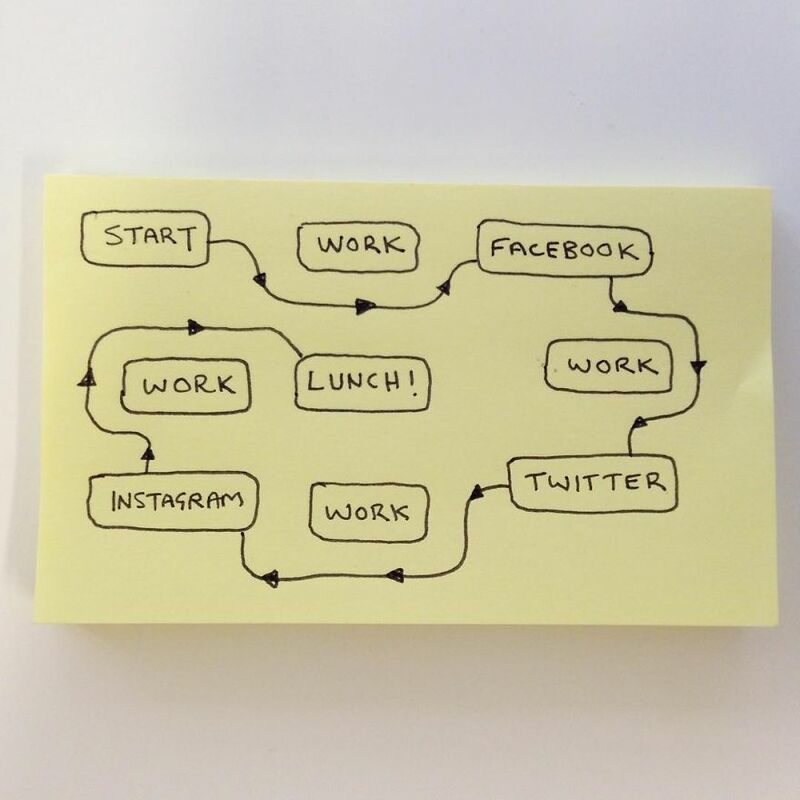 Or hasn’t spent hours online instead of working? 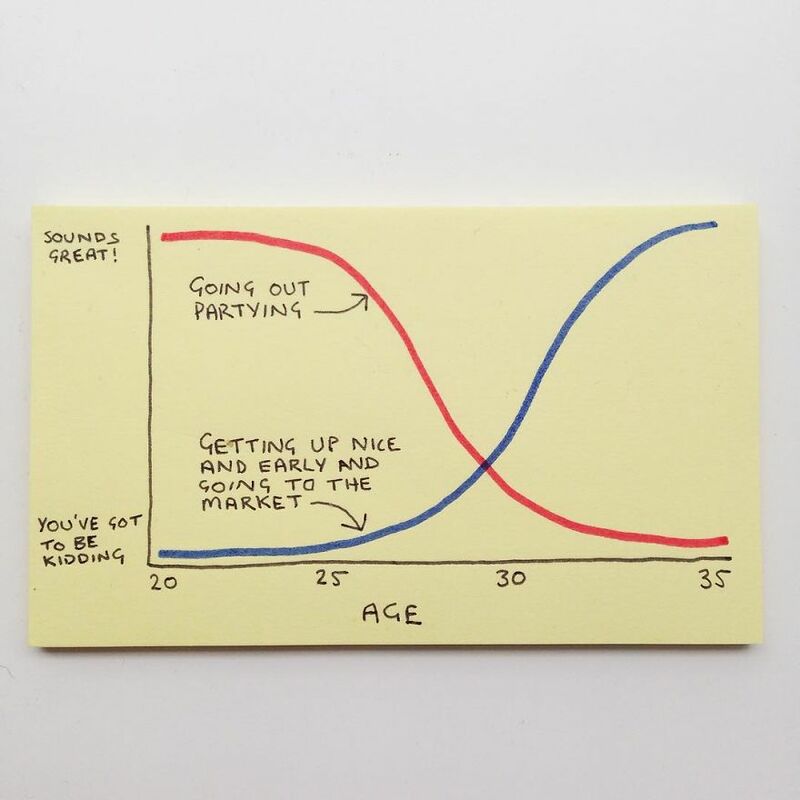 Or -you know who you are- hasn’t moved their huge pile of clothes off the bed just to sleep? 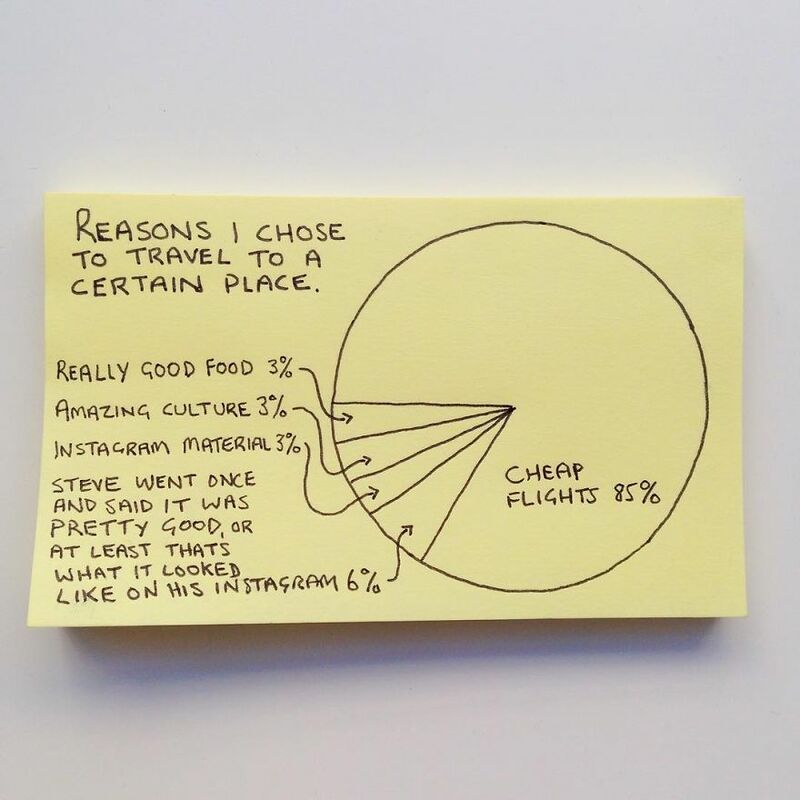 If you’re tired of plates of food and mirror selfies on your Instagram feed, don’t forget to follow instachaaz for an amusing note during your day.